As technology grows, more and more great products seem to evolve. Hydrogen has become an element used to power different vehicles. Bicycles being one of them. It is not very exposed to the public yet but is one that people would have to consider because of its potential to provide a very clean fuel to use on Earth. Because it is new and different, are hydrogen bicycles practical? Hydrogen is found in water that which covers 70% of the earth’s surface and it is present in all organic matter. It is colorless, non-toxic and the lightest of all elements and gases. The greatest thing about it is that it does not deplete the ozone or emit harmful emissions. As far as being an efficient fuel it weighs out very favorable. It has the highest combustion energy per pound (weight) over any other form of fuel. Although it is lighter it gives 2 to 3 times more energy. It can also produce electricity and vise versa. Click Here for more resourceful information of Hydrogen. Pragma Industries is based in Biarritz, France and they make fuel cells for the military and sold some models to other French municipalities. So are they practical? I would say so seeing that they are being used today. In the town of Saint-Lô, there is a hospital where some workers were one of the first to try them out. They will continue to get more action in this year of 2018. 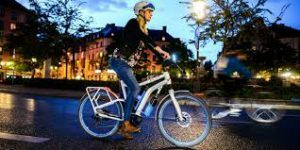 They are pretty much the same as what we know as E-bikes that are powered by lithium batteries. What is the difference between the two? We all know that it takes a few hours to charge a battery before we can take off and ride it after it is depleted. With the way the hydrogen 2-liter canister is used with its onboard fuel cell, you can get great distance and it only takes about 2 minutes to fill it up. Both exceed what the E-bike’s capabilities. Check out the first hydrogen bike in the video below. So as you can see this bike has outdone the common E-bike but the E-bike is a lot simpler to use because of the cost and what is needed to charge it. 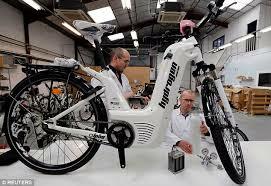 Maybe down the road, the hydrogen bike will be developed to allow easy usage. In France, they have some hydrogen refill stations set up because they are utilizing some hydrogen cars there already. Maybe before it is all said and done these types of stations will be common everywhere. 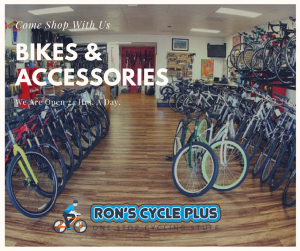 Right now the cost of these bikes is too pricey for the average consumer. 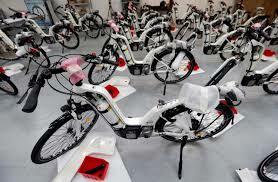 The Pragma company as of now has its bikes priced at 7500 Euro which is equivalent to $9,237.23. They plan on getting it down to around 3500 Euro which is around 4,310.71 by the year 2020. I did some research to find out what needs to be done to recharge the bike. 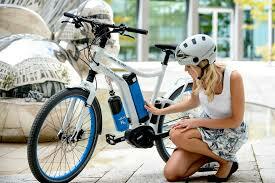 A company named Linde has a bike that says charging is easy and can be done from home. They have the Linde Gas Genie to do it with. See the video below. Overall this is a very expensive toy for a bike rider. Unless you just have the money to invest in it, it is a piece of equipment that the average rider will have to wait until the market permits. For now, we can utilize the E-bike which is the next best thing. This is a great concept in vehicle mobility. It is good for the environment and a provides a longer run time as well as a lesser charge time. It just happens to be early in development and is financially not easy to own. But like everything else, time will make it so. I hope you enjoyed the information and one day be able to find out for yourself how pleasurable it is to own a hydrogen-powered bicycle. If you have any input on the subject please share it with us all in the comments section below. There is a lot to learn about these bikes and all knowledge is welcomed.